Oxford Carriers is a family-run business founded in 1986 by David and Alan Everett. Their goal was to provide nationwide distribution services and warehouse storage for Oxfordshire businesses. We strongly believe that business is about the people, and about doing what you say you will do, to the highest standards achievable. We continually invest in the training and development of our staff and always aim to promote within, and this ethos has really created a family feeling within the business. What’s unique about us is that we work with all types of clients, of all sizes, in all sectors, ranging from technology, to retail, e-commerce and home delivery. There are many criteria for success. For us, those criteria start and end with whether we’ve done our job to the highest standards for our clients and enhanced our relationship with you, our customers. 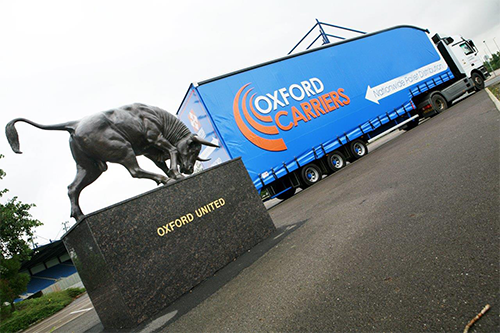 Oxford Carriers: Delivering and driving excellence.